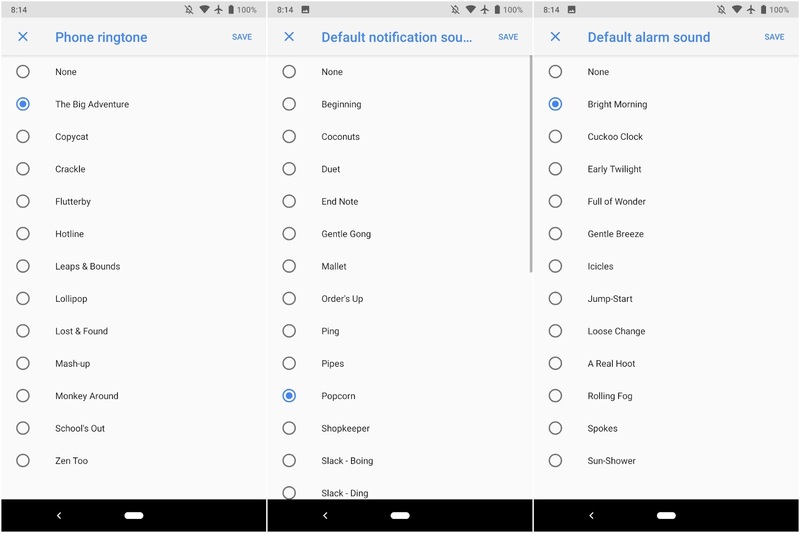 Today, Google releases their Sound app v2.0 with a major overhaul and with the Phone ringtone, Default notification sound, or Default alarm sound menus in Settings. The new interface notes your selection in a “Currently set” section above, with an accompanying visualization for the background. This new update makes everything easier with finding all the tones. Google already whimsically names ringtones and notifications alerts, but this is taking it a step further by using color and a vaguely lava lamp-like visualizer to denote different moods. 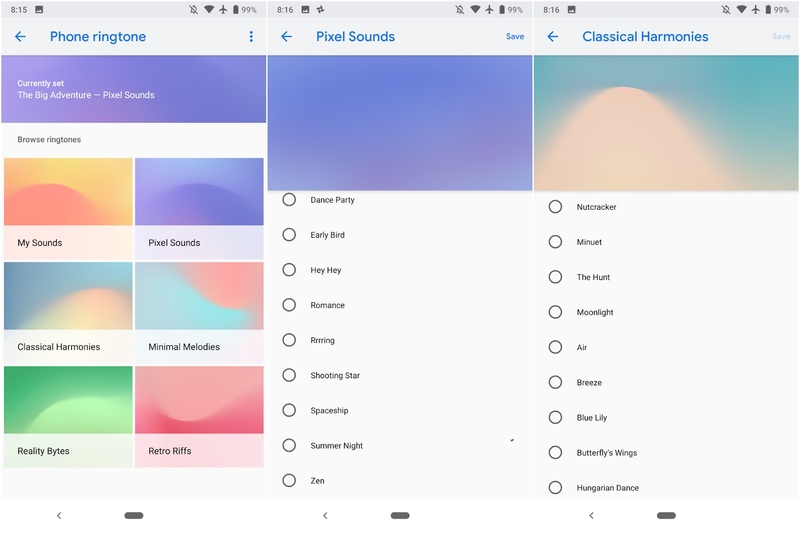 These waveforms and swirls of color are very similar to the “Come Alive” live wallpapers introduced with the Pixel 3 and Pixel 3 XL that sees the background update as music plays. Sounds in a collection share the same general background, with Pixel Sounds remaining predominantly purple and Retro Riffs being mostly red. In this update, you will find six collections with the first being a grouping of user-created ones, while the Pixel Sounds collection serves as the existing device defaults. The Default alarm sound category, which requires a longer tone, only has My Sounds and Pixel Sounds as available collections to choose from. The remaining download when users preview them, with a loading indicator available to the right. Sound design is very important to Made by Google, and the company is now properly emphasizing the work put into customizing this aspect of the Pixel experience.